2018 has been a great year for emerging technologies with the growth of virtual and augmented reality (VR & AR), Smart Cities, space tech and more. What does the near future look like? What new technologies and applications can we expect in 2019? 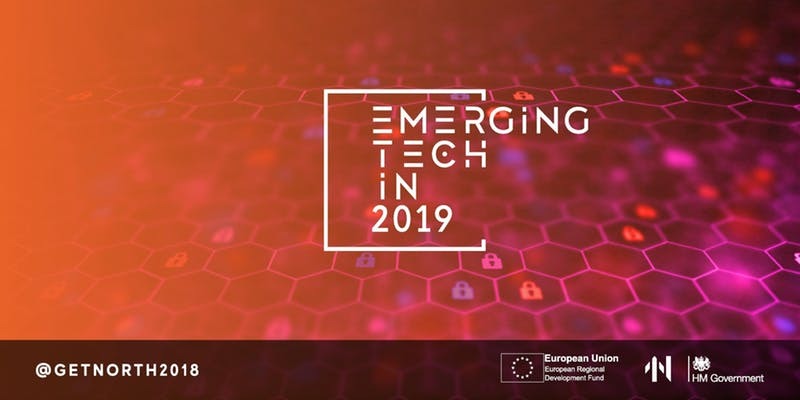 As the final event in the Emerging Tech series, this event will reflect on and celebrate key developments in 2018. We’ll draw learnings from the breadth of sectors covered in the series including Aerospace Ecosystems, Creative & Cultural, Transport and more and how this relates to continuing innovation for the North East. We’ll explore ways to use technology to achieve an enhanced level of audience participation. Reflect on the key technological developments of 2018 and discuss what we might expect to see in 2019. Find out what funding is available to SMEs looking to innovate through the GX Project Grant Scheme and speak to members of the GX Projectteam. This event will create a space for conversations and collaboration to begin – a great way to kick-start a step-change in your organisation, and in the sector. This event will take place at PROTO, the first centre in Europe built specifically to support emerging technologies such as VR and augmented reality (AR), as well as being a space for tech startups and an R&D facility.